From our humble beginning with just one template 17 months ago, we are now awaiting the shipment of our newest templates! 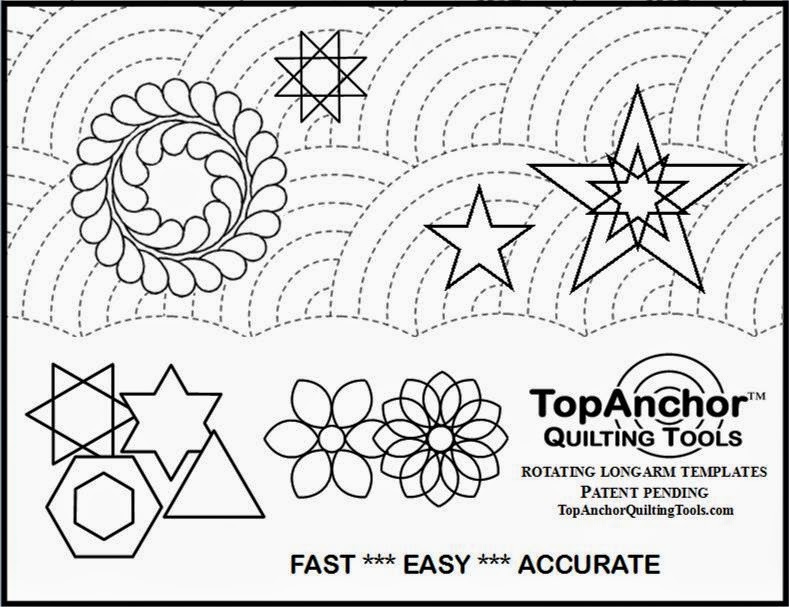 After the Baptist Fan template came the Feather Wreath template, followed by Five-point Star templates in two sizes, an Eight-point Star template, a Multishape template, and now the Dahlia template in two sizes. We have videos posted on our website showing how to use these innovative tools to make great designs on your quilts with the least effort! We owe our continued success to our supporters, many of whom are repeat customers as each new template comes out. Many thanks to you for telling your friends about our templates and helping to spread the word.